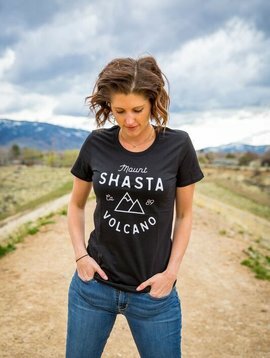 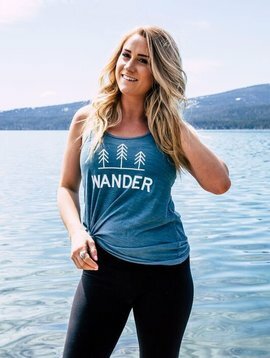 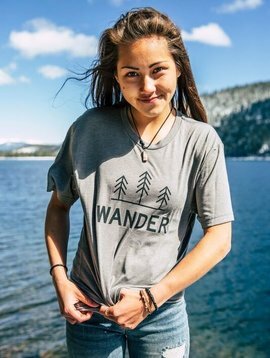 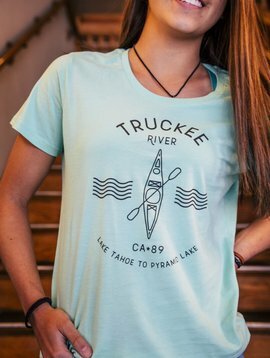 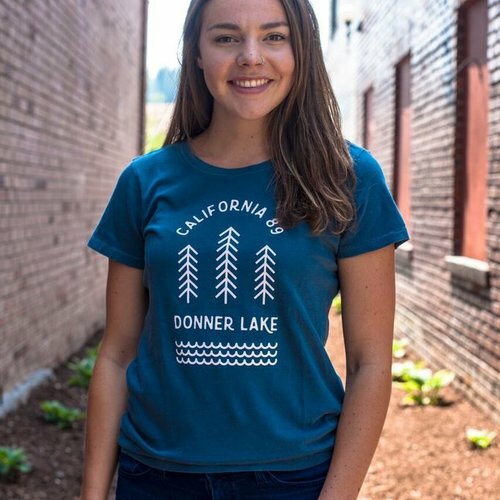 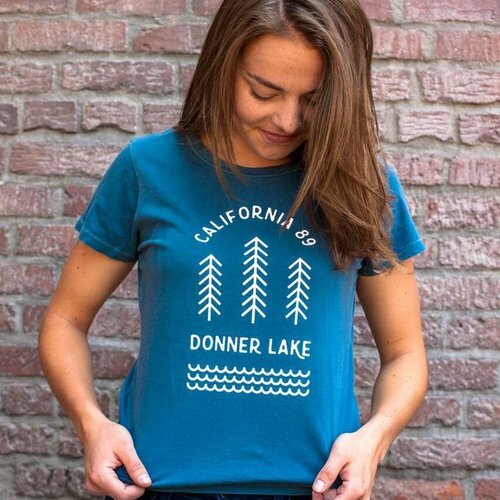 Bring out your True Truckee Local out with our Donner Lake women's tee. 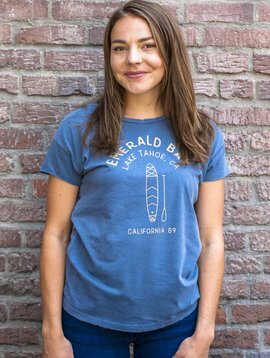 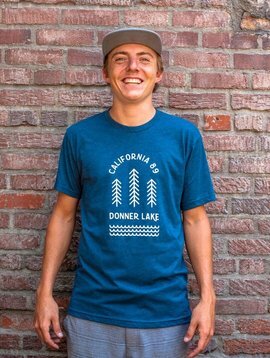 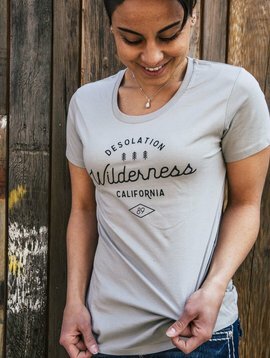 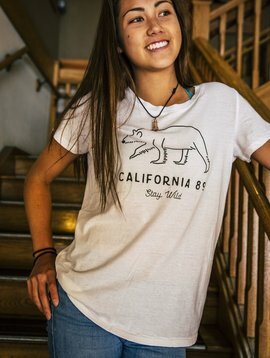 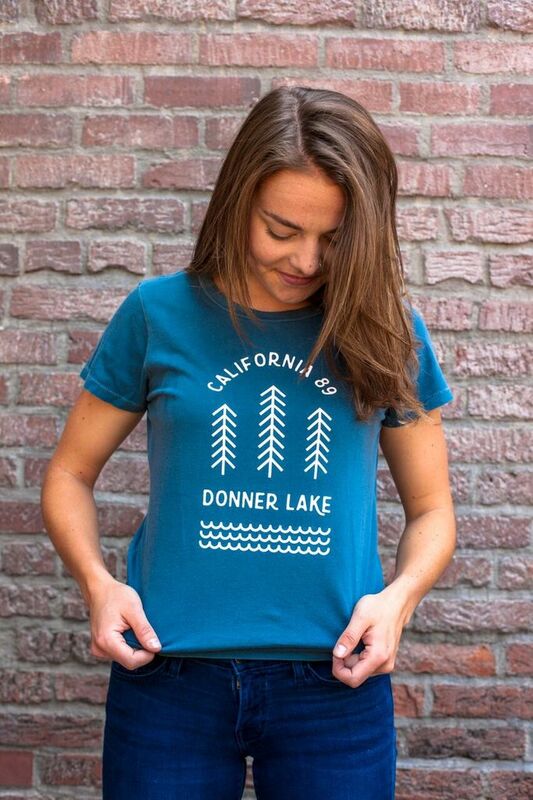 Head to the lake in our California 89 designed Donner Lake women's tee. 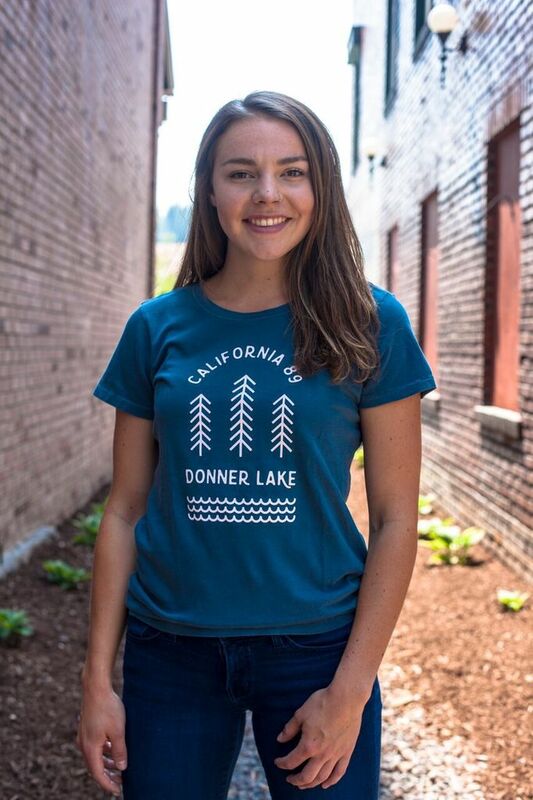 Tree and lake graphic on the front.